Mark Steel visits the Norfolk town of King’s Lynn and performs a bespoke comedy show for the local residents. 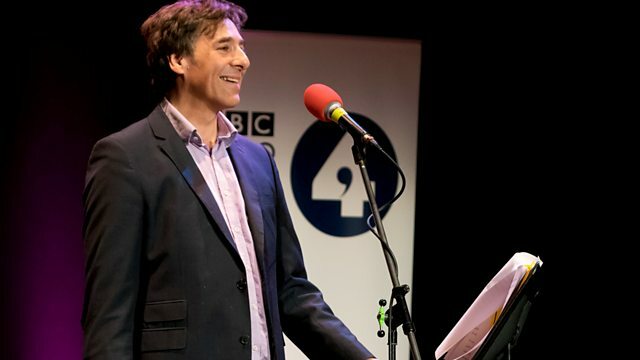 Mark Steel returns to Radio 4 with the ninth series of his award-winning show that travels around the country visiting towns that have nothing in common but their uniqueness. After thoroughly researching each town, Mark writes and performs a bespoke evening of comedy for the local residents. In this episode Mark visits King’s Lynn. King’s Lynn has an apostrophe. And a river. And a traffic island full of rabbits. Mark has a delightful trip on a ferry. And the Queen often visits the town on her way to Sandringham. Mark Steel’s in Town (King’s Lynn) - Mark Steel visits the Norfolk town of King’s Lynn and performs a bespoke comedy show for the local residents.